It’s hard to believe that this cropped top is made from 2 squares. There is no shaping int he top at all; instead, the drape of the fabric and the open lace motif do all the work. The yarn is held doubled for the yoke section, adding stability and stitch definition to that section. 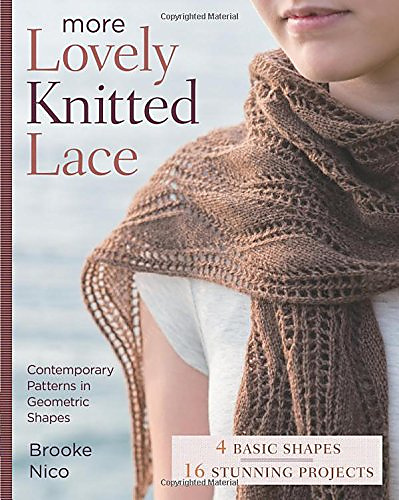 The body pieces are picked up from the yoke and worked down in a simple, easy-to-remember stitch pattern. 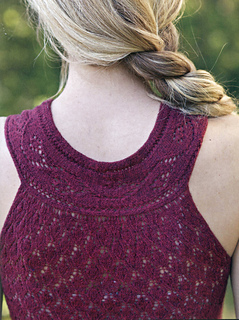 Personalize yours by knitting to whatever length you prefer, short as pictured here or longer as a tunic.